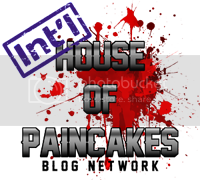 So here is the first installment in what will be an ongoing set of updates and discussions of my new Mordheim warband. At the school where I work, I am about to start a second year of playing Mordheim with the Nicholson games and model club. 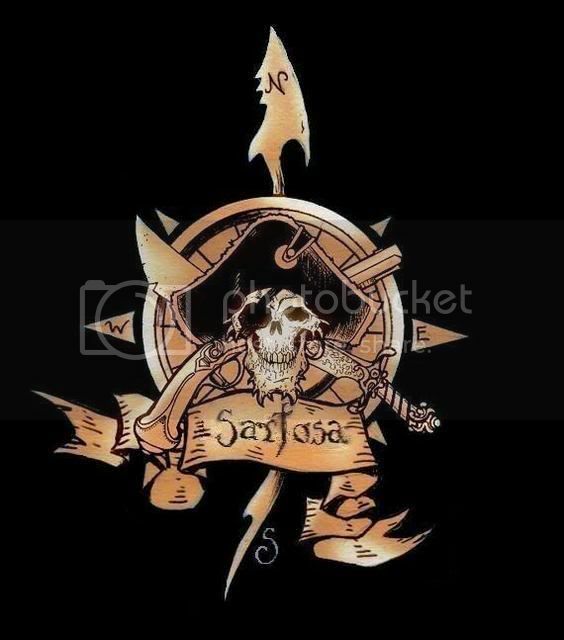 This year we are battling in an alternate setting - the pirate island of Sartosa!!! 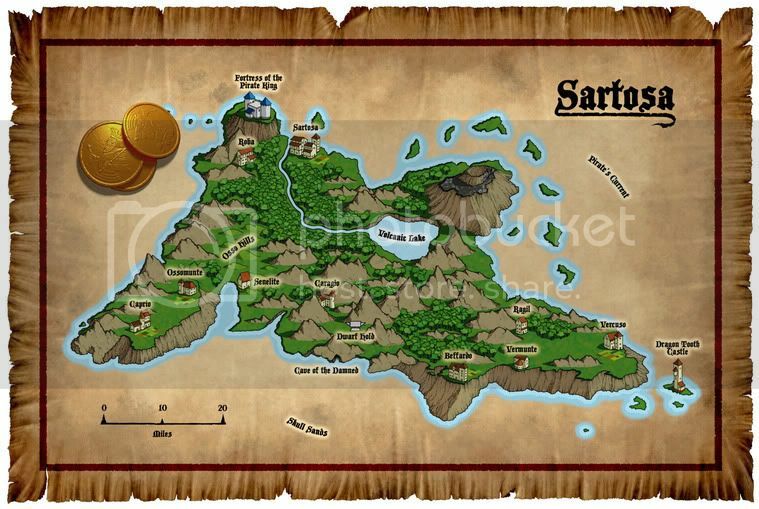 Sartosa is known as the Pirate City, for good reason. Pirate ships of every shape and size lie at anchor within the great harbour, while the city grows rich with the plunder of the sea - gold from the south, silks from Araby, jewels from the New World, and fine wines from Bretonnia. The whole city thrives upon plunder, secure in its natural defenses and the fighting reputation of its citizens.Unlike Brionne (a city which openly welcomes pirates, and turns a blind eye to their dealings), Sartosa is run by pirates. It is administered far more harshly and efficiently than any other city in the Old World. Within the bounds of the harbour, Pirate Law applies, forbidding theft, and offering frequently terminal punishments for murderers, thieves, swindlers, and traitors. Disputes between captains are settled by the Master of Sartosa - the King of the Pirates, elected annually from and by the pirate captains then in port. The city lies behind solid walls, protected by huge engines of war sheltered within the city and sunk inside heavy bunkers carved into the surrounding cliffs. The sea itself offers the city its most potent defense, for the straight between Sartosa and the mainland is subject to a deadly current, the so-called Pirate's Current, which makes it impossible for any ship to land on the north side of the island. The island can only be approached from the south, via the perilous Skull Sands - an ever-shifting sand bank where careless ships run aground. Only the pirate's pilots can navigate the treacherous sands, and to reveal its secret is an act of treachery punishable in the most heinous manner imaginable. Even pirate ships occasionally fall foul of the Sands, in which case Pirate Law maintains that the ship is salvaged and free for the taking before wind and tide break it up. This leads to viscous fights between rivals and the crew of the wrecked ship who resent their hard-won cargo being snatched from them when they are within sight of home. 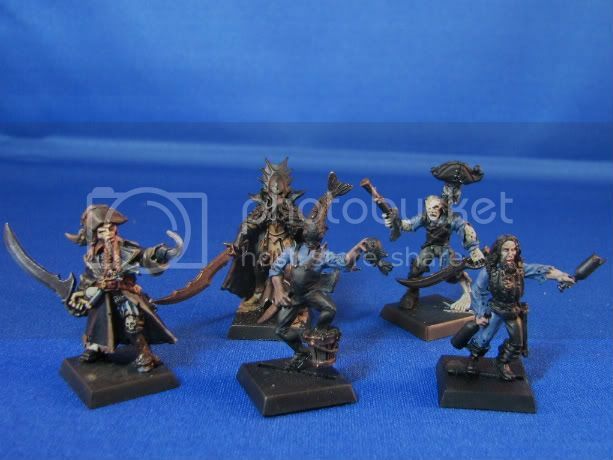 As such I have decided to build a Pirate warband to play. I will be building this warband and painting it to a tabletop level - !no golden demon work here! - and will be putting up tips and updates on how it develops. This will be a good primer for people looking to learn more mid range painting techniques and how to paint models quickly and effectively so dont be afraid to ask questions! To wet your appetite - here is an early shot of a few of my models being basecoated - they make for a strange and salty crew indeed - YAAARGH!.